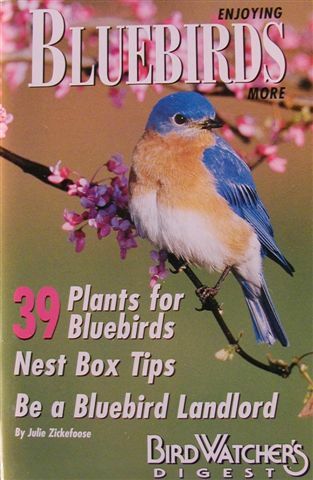 If you love Bluebirds you'll love our Online Store. 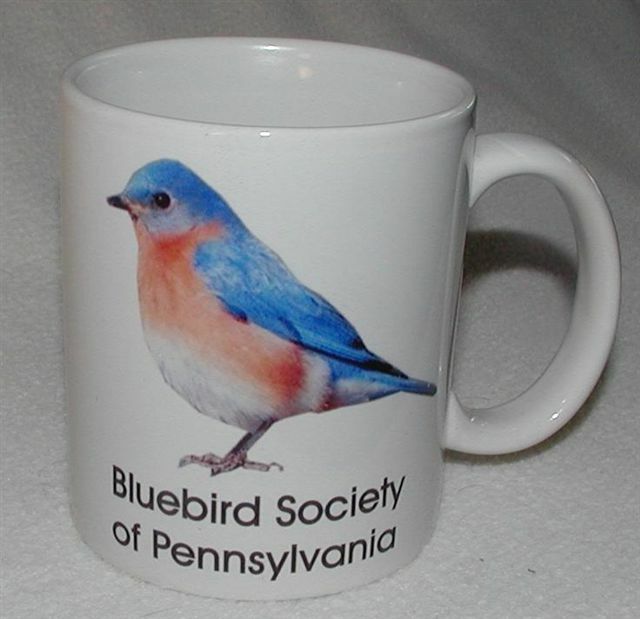 No one carries more bluebird items with such reasonable prices as the Bluebird Society of Pennsylvania. We have several purchasing options. Add to Cart Buttons Your PayPal account. Other Payment Options, Check or Money Order PLEASE FILL OUT THE FORM AT THE BOTTOM OF THIS PAGE . I; the Online Store Manager will receive your listed item(s) and Size(s) and return an email to you listing total cost that will reflect taxes (if required) and shipping and handling cost. You are under no obligations to purchase anything during this process. If and when I receive your payment I will process your order. White Pocket Tee Shirt embroidered BSP logo on front pocket. 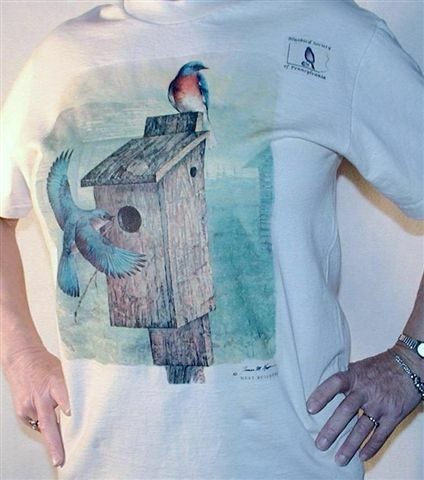 Designed and printed by James Krom; Soft cream-colored cotton blend with bluebirds in front and BSP logo on back. Tee Shirt comes in white or blue. 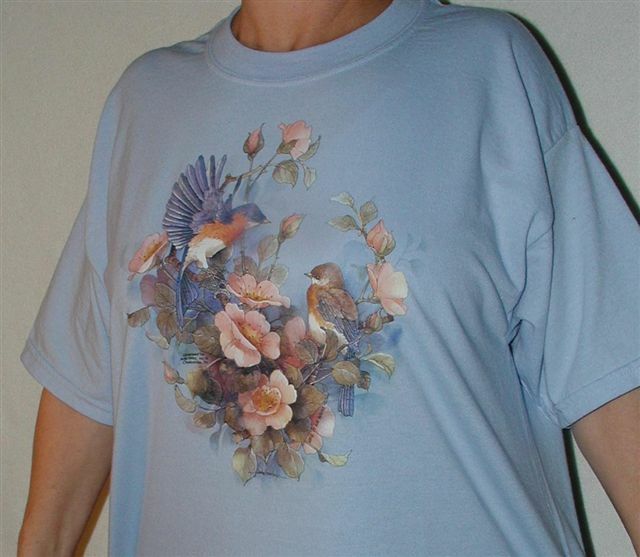 Bluebirds with roses on front and BSP Logo on Back. Denim Shirt, long sleeve shirt with BSP logo above pocket. Photo Coming Soon. Tan Sweatshirt Eastern Bluebird sitting in a holly bush center of shirt. 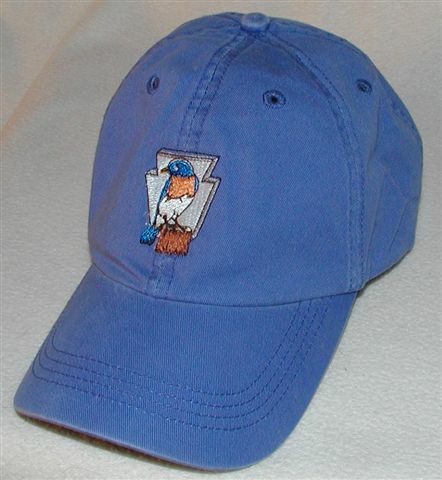 Light Blue Cap with the BSP Logo. 6 Panel cotton Adjustable Headband. Bluebird Pin Hand painted 1.5'' from beak to tail. This item ships insured. Bluebird Travel Mug. Stainless Steel 16oz. depicting Eastern Bluebird. with careful attention to detail. Stainless Steel 24oz with handle depicting Eastern Bluebird with careful attention to detail. 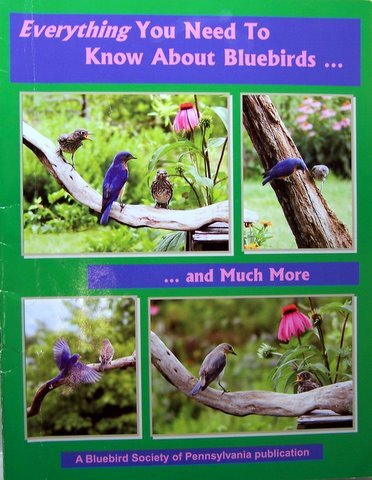 A great educational tool to encourage discussion about bluebirds.A must have for educators and speakers. A Beautiful Bluebird Glazed Crock 6" high and 4" in diameter. A must have for the kitchen. Ships Insured. 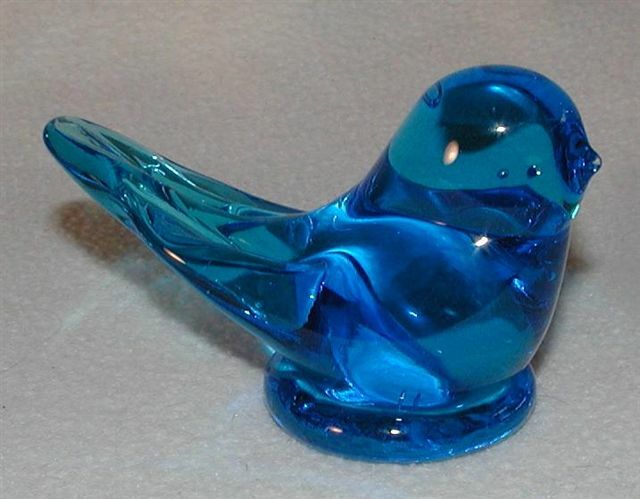 Bluebird of Happiness brilliant blue glass about 4" Ships Insured. Bluebird Society of Pennsylvania on front. Back with Ask me about bluebirds or Have a Bluebird Day. Durable heavy canvas tote bag with the BSP Logo. Embroidered BSP Logo Patch 3.5" in diameter. 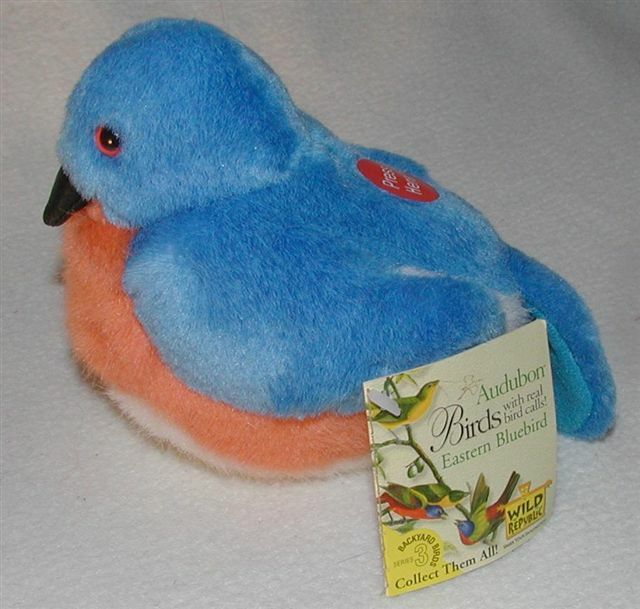 Audubon Plush Bluebird singing a natural bluebird song when squeezed. Folded blank note cards 5 1/2" X 4 1/4" with envelopes. set of eight. 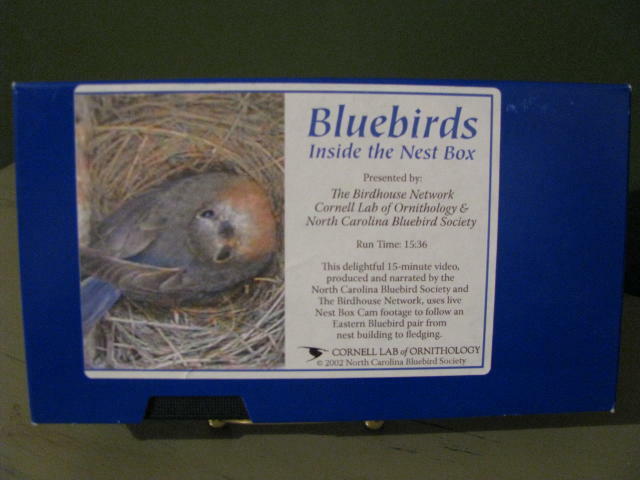 Hand painted picture of Eastern Bluebirds at nest box. Folded blank note cards 4 1/4" X 5 1/2" with set of 8 envelopes. Price? 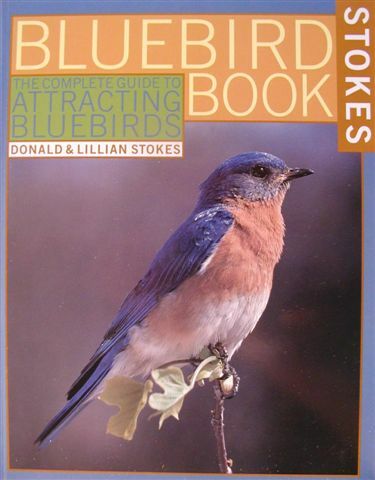 By Doreen Scriven An authoritative and comprehensive guide to blue-birding success. 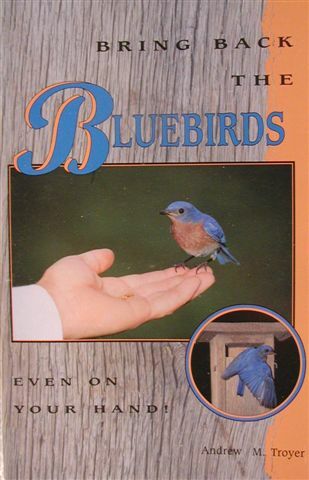 By Andrew Troyer Beautifully illustrated book covering bluebird basics and a guide to hand feeding. 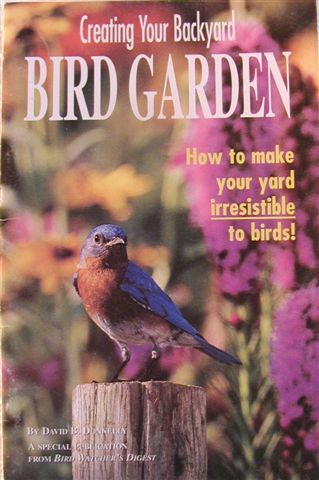 By David B.Donnelly Good ideas for making your yard a bird sanctuary. Tips on plants selection, garden design and nesting needs. By Julie Zickefoose The bluebird landlord's handbook. 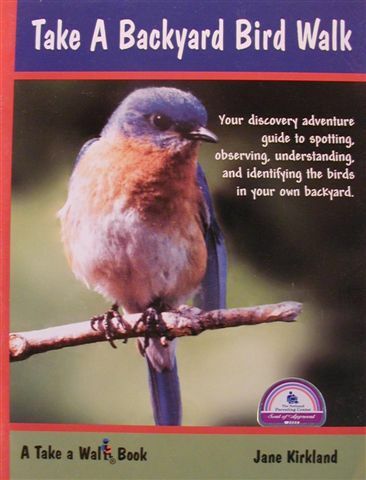 By Jane Kirkland A wonderful primer on birding for children. A pictorial workshop inspiring young children to observe their natural environment. Great for teachers. 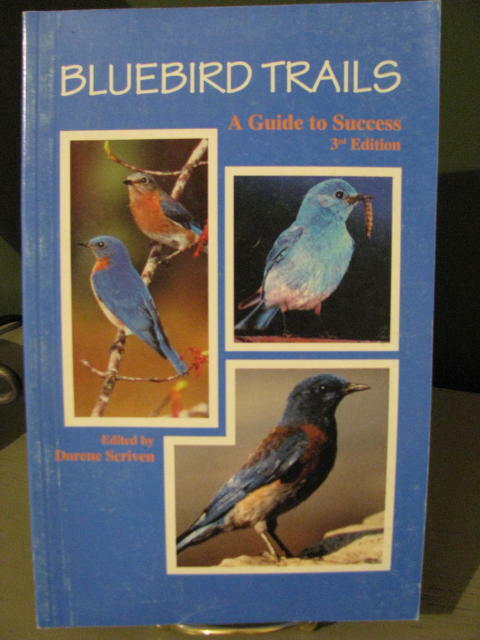 This Book is highly recommended to gain knowledge on how to assist bluebirds and other native cavity nesting species. Peterson Nest Box 1 1/2" oval hole. Select assembled or unassembled. PVC Nest Box 4" diameter with 1 1/2" hole. A slot box with a removable nest cup. Trap will work on any nest box with a flat front. 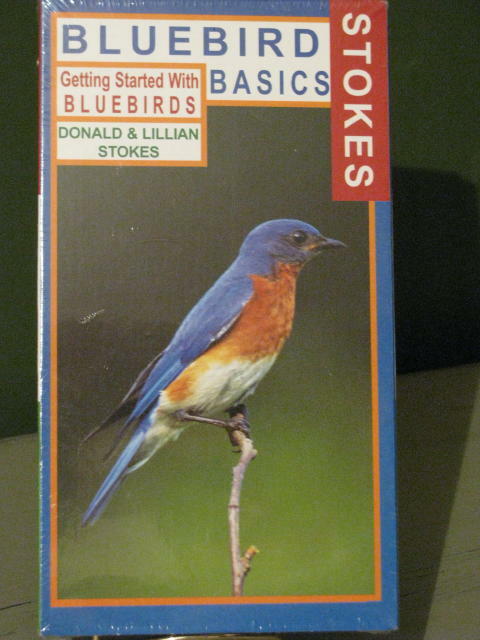 Complete set of instructions for mounting included..
By Don and Lillian Stokes DVD or VHS an excellent video to help you get started with bluebirds. Trap will work with PVC style nest boxes only. Complete set of instructions for mounting included. Mounts inside the nest Box and fits inside most boxes. To deter cats and raccoons preying on nest boxes. Prevents animals from reaching inside the box. Will not deter snakes or house sparrows. Thank You For Visiting And Shopping On Our Online Store. Come back soon we're are always adding more merchandise to our online store. If you have a concerns or questions contact our online store manager at the form below. There is a $2.00 handling charge per order to cover filling and packaging your order. If you have any question regarding shipping or returns, please contact us using the form below. 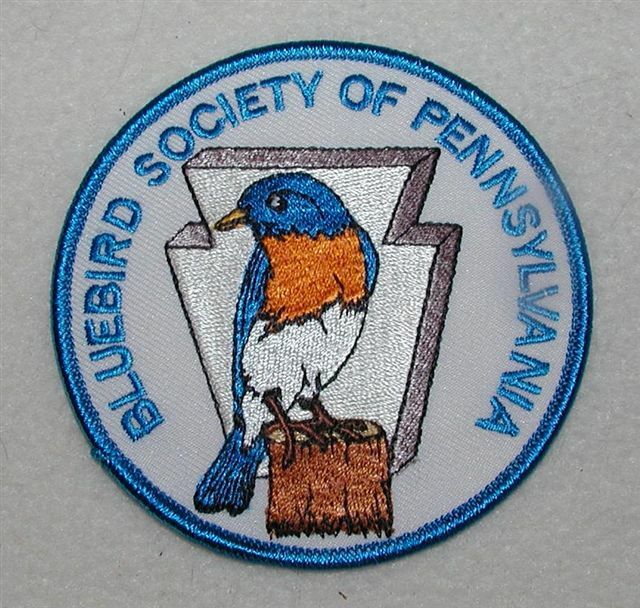 Information entered at the BSP store will be used exclusively by The Bluebird Society of Pennsylvania to obtain orders and payments, and to successfully complete requested transactions for our customers. We may contact you regarding any questions we have about your order, ex: to obtain additional shipping or payment instructions. We will never share or sell this information to other individuals or organizations.